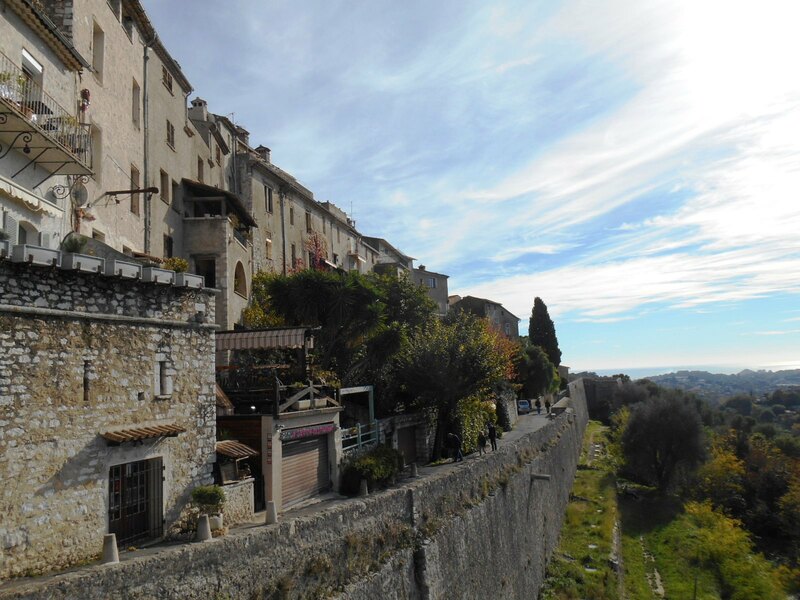 The legendary ancient Provençal village of Saint Paul de Vence is an ideal destination for a day trip away from the coastline of the French Riviera, especially if you are feeling in an arty mood and want to discover a different side of the area without having to travel too far. Saint Paul ticks all the boxes of Provence stereotypes, as depicted in Peter Mayle’s A Year in Provence – old men playing pétanque, beautiful views over the hills, manicured gardens, communal laundry troughs, squares with brown stone fountains, small alleyways and expensive art galleries – but does it all in incomparable style. In the following itinerary, I combine the fairytale beauty of Saint Paul with the more down to earth charm of nearby Vence, both easily accessible by public transport from Nice, but if you are travelling by car, I’ve added an extension to the surprising village of Saint Jeannet.